SugarCRM is a CRM software and can be used extensively for Customer Relationship Management. But Customer Relationship Management for a company may start with Sales Force Automation or Customer Support Automation or Marketing Automation. This article is to make CRM Implementation simplified for any company that is just starting their journey with CRM. So we can treat this as a beginner’s guide to CRM Implementation using SugarCRM for Sales Force Automation. For a company that has never used a CRM application or a company where very less number of sales people have used a CRM, we can introduce SugarCRM in 5 steps. These steps are organised from simplicity to complexity. In CRM terminology, an Account represents a Company or Organisation with which we are doing business with and Contact represents a person within in the company with whom we are interacting. As a first step we need to bring all companies and contacts that we dealing with into CRM. At this moment they are captured somewhere, may be in an excel sheet on each sales person desktop or on a shared google doc or on the sales person’s desk as a business card or probably as a contact on mobile or as a contact on outlook. 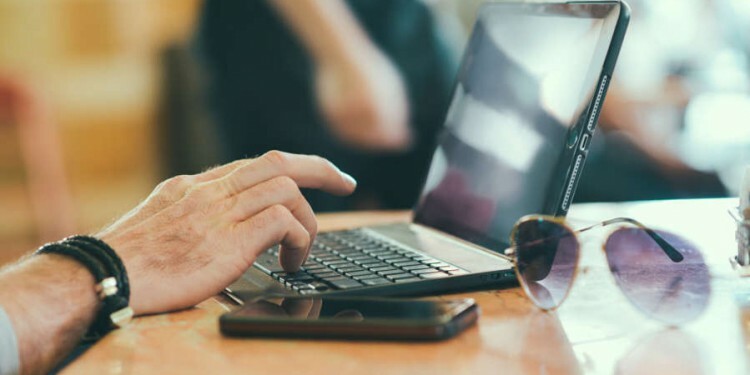 Our first goal is to identify where the accounts and contact information is residing currently and what information is being captured for accounts and contacts. Most of the CRMs including SugarCRM comes with ready made modules to capture Accounts and Contacts. You can take a look at these modules and see what fields are available and make a list of fields that needs to be there in those modules. You need to plan how to get all the current data available in the organisation together and load into CRM as a first step to ensure people start realising the usability of the data. The next important step in Sales Force Automation is tracking the activities of the Sales people. Typically these are calls, meeting, tasks and emails. 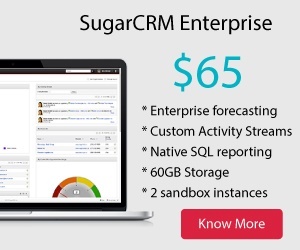 CRMs including SugarCRM has modules to capture these activities. Once you make people use these modules, you get a view of how many activities are leading to your business. And which sales person is having more activities etc. If your team is currently using Outlook as the defecto standard for emails, SugarCRM comes with Outlook plugin that helps in syncing contacts, calls and meetings between he two systems. That means if you schedule a call in Outlook it gets synchronised to SugarCRM and vice versa. By bringing activities of the sales people into CRM you get a chance to have an idea of how your sales team across the company is working. Leads and Opportunities play a very important role in sales person life as they represent the life cycle of the customer before he becomes a customer. Leads track the person’s information before he or she becomes a Contact. And Opportunities represent the amount of business sales person is expecting from a prospective customer before the customer places an order. Leads are also called prospects and Opportunities are also called as leads or enquiries. Depending on the background of the company the terminology may change. But the meaning remains same. You can capture all your leads in the centralised SugarCRM module and also can use this place to distribute the leads to different sales people and sales teams. Leads may come in two ways, generated by the company or their partners and generated by the sales people themselves. Having a proper way of capturing them and allocating them should be our goal first. Identify all the sources of these leads and check what information is being captured. Based on this look at SugarCRM Leads module and see what fields should be available in the module. Once you decide the fields the most important aspect you should make people understand the difference between Lead and Opportunity. The lead captures the information of a person or person from a company who is interested in your products or services. Opportunity captures the business deal information like value of the products or services that the lead is planning to buy. Arrive at a lead qualification mechanism so that it is converted as contact after checking if the leads qualifies to become your customer. If you are a car company, most of the leads who wants to buy a car might approach you. But if you are selling Ferraris and he is interested in BMW, you need to disqualify them as a lead. So depending on the products and services, define a criteria on how to qualify a lead and convert into a Contact. Now we come to the most important part of Opportunity Management. Opportunities capture the deal information and some of the metrics like when it is going to be closed or decided by the customer. In this you can decide to broadly capture categories of products or services this prospect is going to buy so that you get an idea on how the current situation looks like. All CRMs including SugarCRM comes with Opportunity Module and observer the standard fields available in the module. If your company is already capturing this information in some excel sheets, observe them and arrive at the fields that needs to be captured in Opportunities module. And then deciding the Opportunity Life Cycle is an important key activity. Opportunities have life cycle starting from “Initial Interest” to “Close Won” or “Closed Lost”. And you can define this in Opportunity Stages and the corresponding probability of winning the Opportunity. This gives you an idea of how does your opportunity pipe line looks like and ability to see your pipeline at individual level and team level and organisation level. If you are implementing CRM for the first time in your organisation, it is better you part forecasting a bit aside till your organisation gets into the comfort zone of using Opportunities module. There is a comprehensive forecast module in SugarCRM that can be used to set targets and getting commitments from sales people. There is another easy that you can roll out that is consolidating all your marketing collateral and document templates and making them available for your sales team. SugarCRM comes with a Documents module where you can upload any type of document into the system and make it available. The central office or marketing department can create the marketing collaterals and upload them and make it available for every one. If there are some product price lists or proposal or quote templates the same can be uploaded. Sometimes sales people may need to share some white papers and latest industry trends information to prospects. And all these documents can be stored and made available from Documents module. SugarCRM Email Template module can be used to create as many standard templates as possible and made available so that routine first level responses can be standardised. But if you do not have a team that works on these email templates, it is better to avoid at this moment. There are many other features from SugarCRM for sales teams like Dashboards and Reports, Quotation Management, Product Catalogue and Pricing Management and Contracts Management. Another articles will concentrate purely on Quotation and Products modules. Bhea has extensive experience in SugarCRM Implementation for Sales and has fixed packaged solutions for implementation. Please Contact Us for further information or meet one of our Customer Advocate in Singapore, New York or Bangalore.